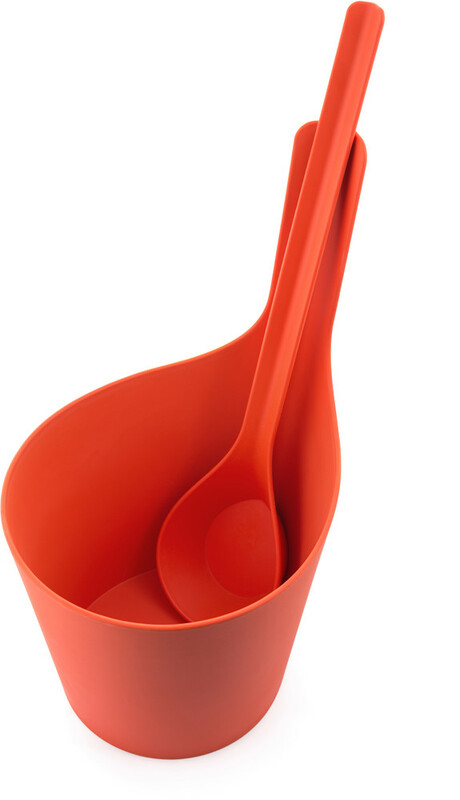 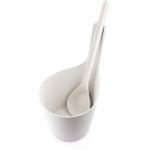 Rento Pisara Sauna bucket strawberry and ladle made from ecological biocomposite UPM Formi, which is made from renewable pulp fibres and clean plastic polymers. 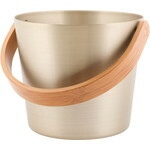 Bucket is 100% recyclable and can be converted into energy by burning. 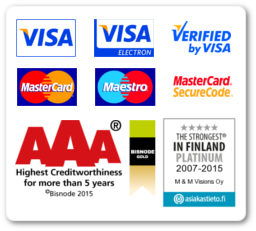 The material and product have are manufactured in Finland. 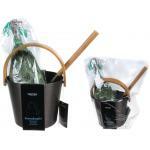 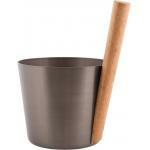 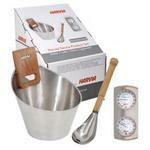 Bucket volume is 5 liters, height 38cm, diameter 23 cm. 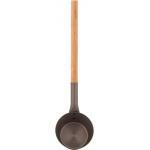 Ladle length is ca 43 cm.